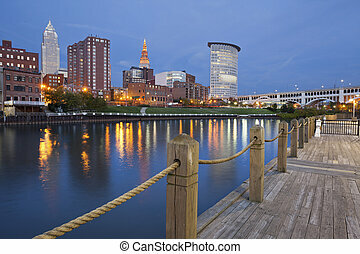 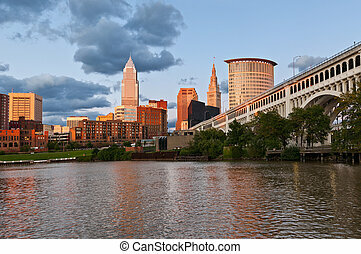 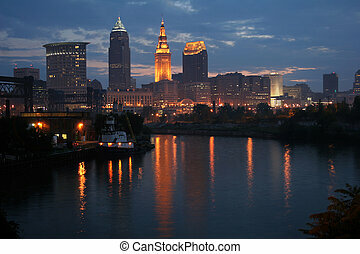 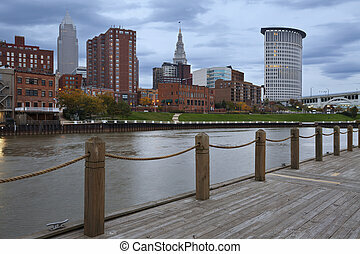 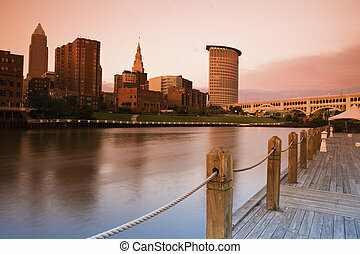 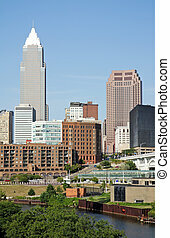 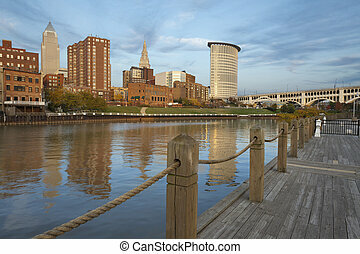 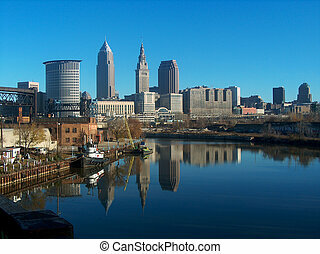 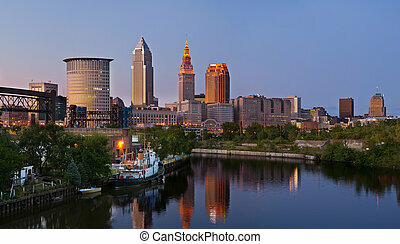 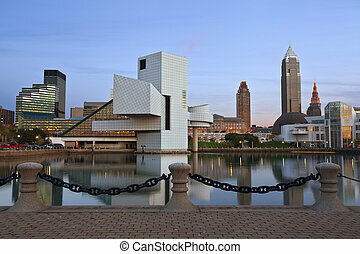 A early morning skyline view of Cleveland, Ohio reflecting on the Cuyahoga River. 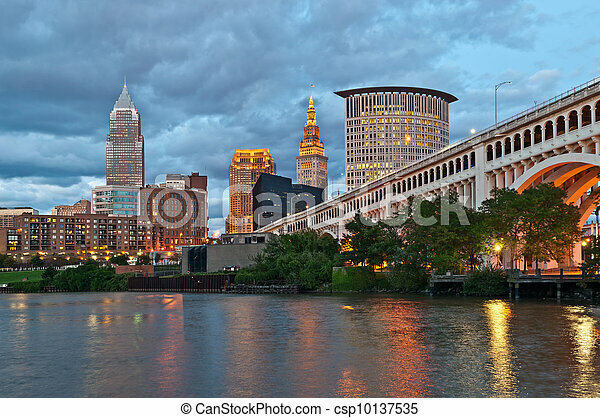 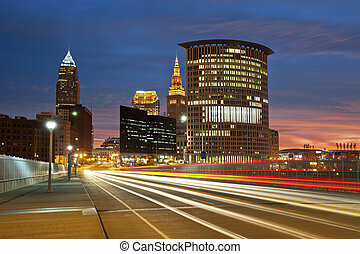 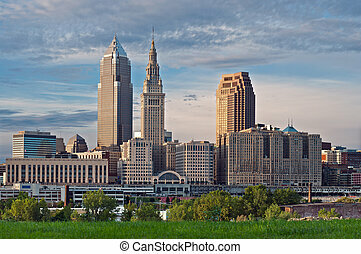 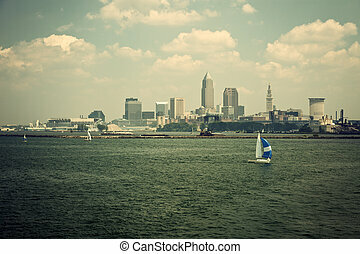 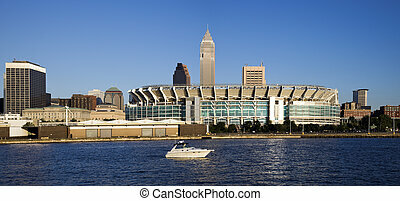 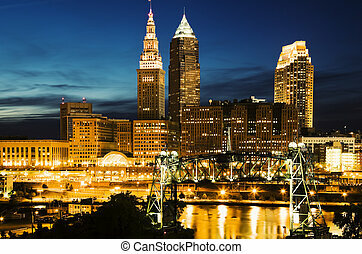 Skyline of Cleveland - evening time. 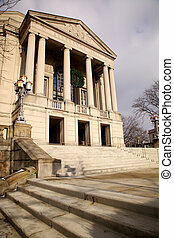 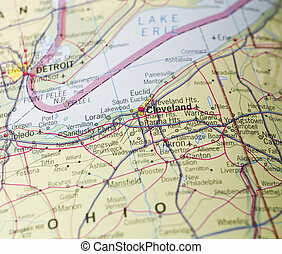 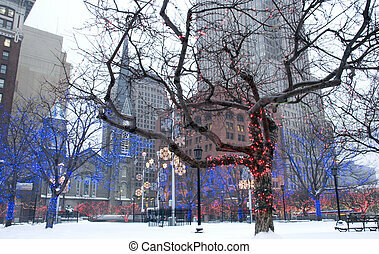 Downtown Cleveland, Ohio During Winter. 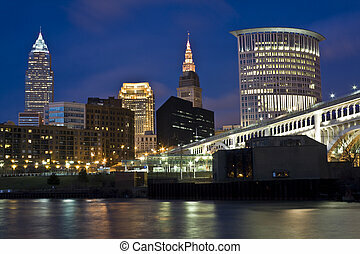 XXXL Downtown Cleveland - seen after sunset. 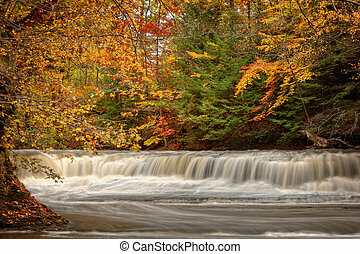 Beautiful autumn colors on the trees frame this broad waterfall. 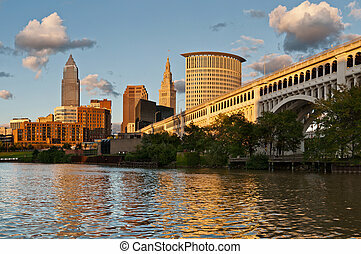 The waterfall is called Quarry Rock Falls and is found in the South Chagrin Reservtion of the Cleveland Ohio Metroparks. 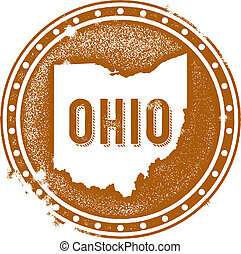 Vintage style distressed Ohio state stamp.